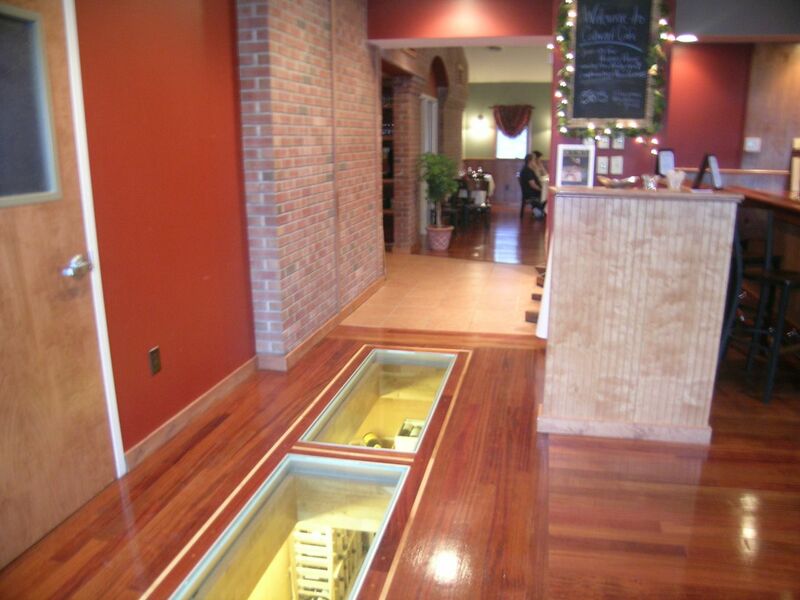 Learn 5 tricks to design a glass floor, walkway or bridge. Design Trick #1 – Maximize light and minimize structural support – Whether you’re designing a glass floor to provide views to a wine cellar, art or memorabilia collection or just to provide daylighting (while maintaining privacy) to a level below, people want to get the benefit of the glass while minimizing the amount of structural framing needed. 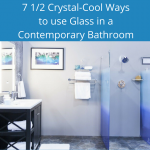 What I recommend to my clients is to design the glass sections for a maximum of 4’ width because it eliminates the need for structural support through the middle of the system. Design Trick #2 – Identify your style – contemporary or retro – Glass flooring systems are designed to use solid glass pavers, hollow glass blocks or full sized glass floor panels. For a retro design the 8” x 8” x 1” glass pavers and glass blocks are best. 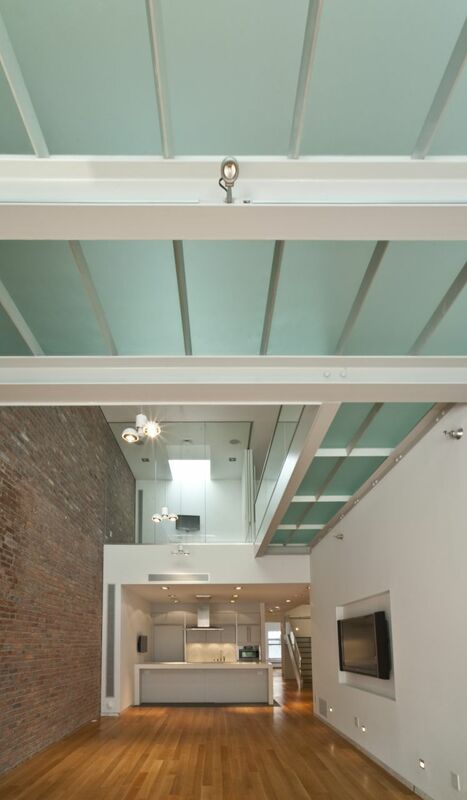 For a sleek contemporary look the larger glass floor panels are the selection I would recommend. Design Trick # 3 – To view or not to view, that is the question – A common misconception with glass walkways and floors is that they are all see-through and your personal privacy will be compromised. 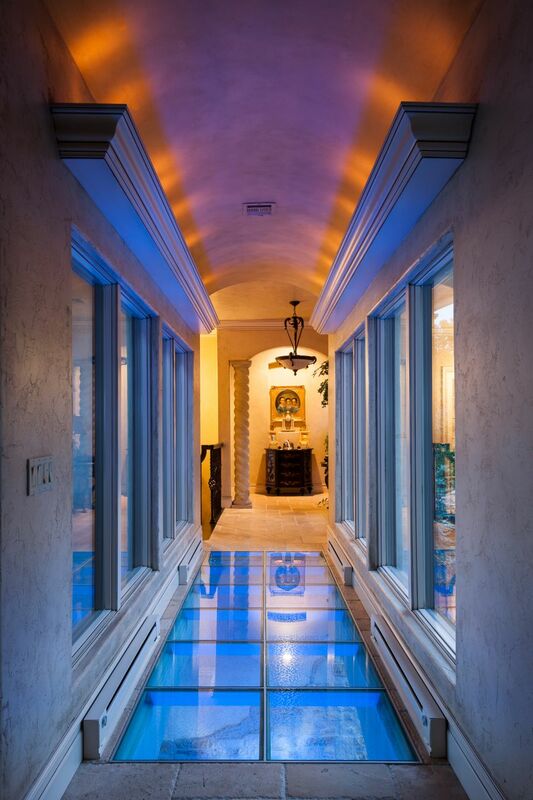 While clear glass floors are popular and you can see right through them, obscure acid etched glass panels are used to provide the dual benefits of light movement and high privacy. Design Trick # 4 – Illumination for a 24/7 affect – If you want to maximize the oohs and aahs of glass flooring in a deck, terrace or interior space incorporating LED lighting is a must. 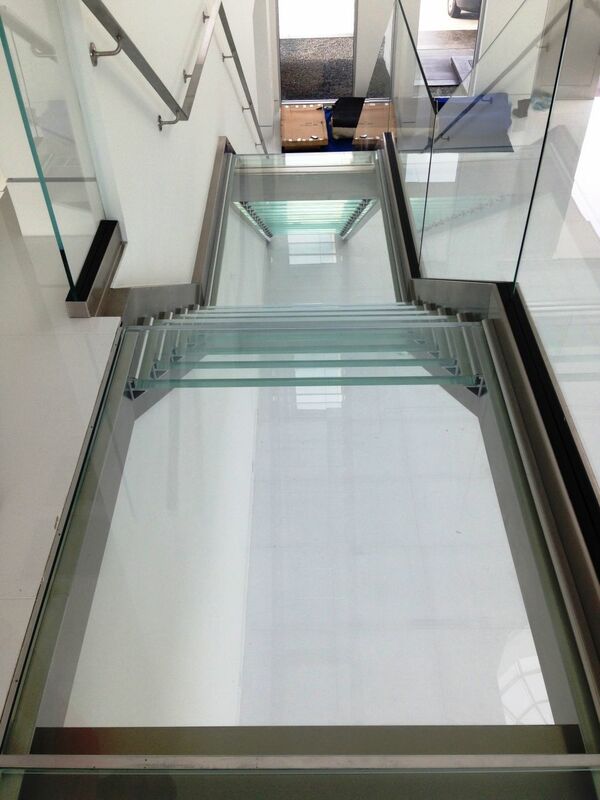 Usually this lighting is run along the structural members which the glass floor rests on. Whether you choose or single or multi-colored LED system the look really pops in the dark and will make this project a focal point of any space. 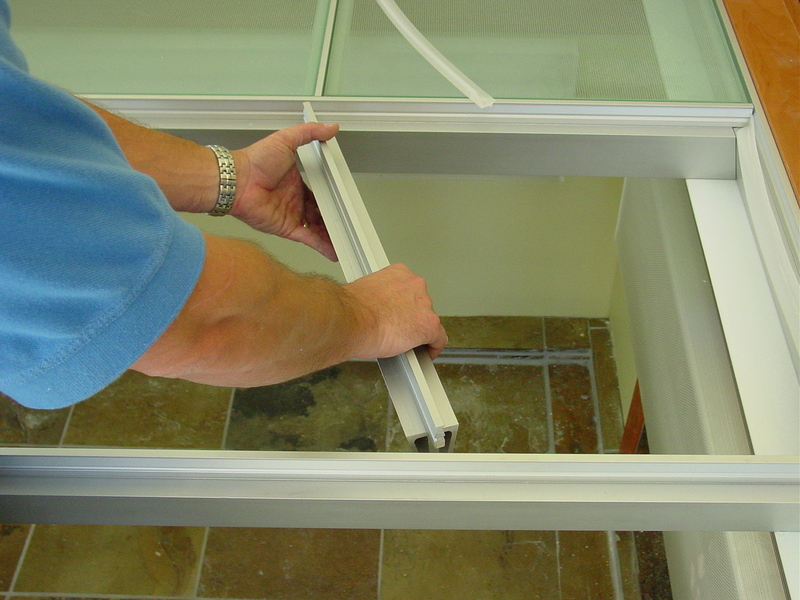 Design Trick # 5 – Keep it safe with pre-engineered systems – While it might be possible to buy a 1” thick hunk of glass and put it into a steel framework – it won’t be comforting not knowing how much weight a “home-made” glass floor design can hold. I recommend the use of pre-engineered glass floor systems which have not only been rated and tested – but actually can hold twice as much weight as your common wood floor. One popular system uses aluminum support members along the perimeter. 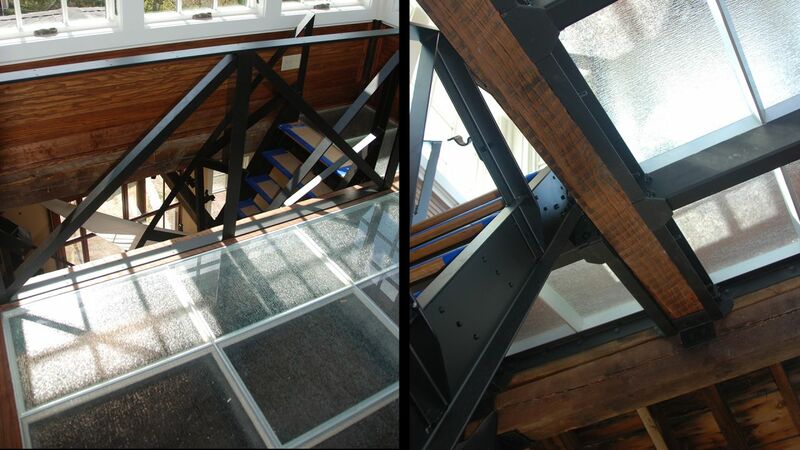 The glass floor panels are tempered for safety (like a car windshield) and are laminated for strength (like the wood supports in a church). In addition the top surface of the glass has a ceramic “frit” to provide anti-slip protection. Are you inspired to design your glass terrace, bridge, walkway or deck? Please comment or call us at the numbers below for additional insights or pricing. Hi there, a customer of our’s would like something along the line of an acrylic/glass walkway put in the second floor of his home basically to connect the bedrooms and what have you upstairs. How or what would we even need to start a project like this?? Thanks for your time and any info you may have on this project!! JJ – we do offer waterproof glass ceilings which can be hinged. We’d have to talk about the actuators and wireless interface – this is not something we’ve done….YET! Give us a call! Nice article. It gives a good overview. I’m currently designing a tiny home for a client and she wants a glass ceiling above the loft that doubles as operable hatches to get on to the roof through and walk around. Actuators and wireless interface are a must. Do you have any recommendations with regards to detailing such a feature? All within no more than 36 inches wide of flat roof space. If it was easy it wouldn’t be any fun!